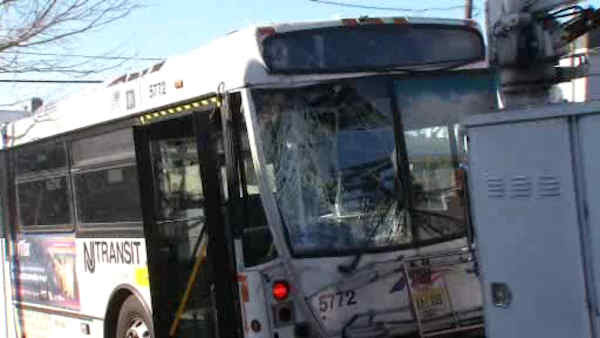 CARLSTADT (WABC) -- A New Jersey Transit bus traveling from Hackensack to Penn Station crashed into a telephone pole in Carlstadt Wednesday morning. The No. 76 line bus struck the pole at Hackensack Street and Division Avenue around 8:50 a.m. The operator reportedly told authorities that the bus may have slid on black ice. There were no injuries reported, but the bus suffered extensive damage. The passengers were accommodated on another bus. Hackensack Street between Division Avenue and Broad Street is closed until further notice for downed power lines. PSE&G is working to repair the damage.